There’s a sense of unease about Wardenclyffe, the so-called “demented brainchild” of Matthew Beech and David MacKinnon. Perhaps it’s the fact that many of the songs on this record originated from collected found-sound recordings and musty tape loops with strange bias disparities, weird drift and unpredictable wobble. Or perhaps it’s Beech and MacKinnon’s ability to layer foreboding, vampiric-vacation-rock riffs over these collected sonic fragments? The result, in any case, is a record that feels dark, heady and surreal without sounding anachronistic, cliched or incomprehensible. It’s something between a doomful collection of folktales, a boreal, naturalistically majestic alternative rocker, and a lo-fi art project. Rather than having their songs dissipate into kaleidoscopic arrays of Flaming Lips psych-rock, Night Terrors keep Wardenclyffe anchored by cutting through the disorientation with bursts of weighty, scuzzy guitar work – as demonstrated on “Phantom Song” and “Dark Night of the Soul.” Many of Wardenclyffe’s songs feature delicate, warm acoustic passages, as on the eerily pastoral “Whitehorse” and “Yellowknife” – arrangements that play somewhat like Fleet Foxes might after imbibing a cup full of Sprite and promethazine. “Foul Ways” lays Beech’s lazy drawl over some of Wardenclyffe’s punchiest passages, slowly fraying and warping around the edges before glitching out into a dirty synth groovebox grinder of a thing. only to coalesce into a boppy saloon jam. It’s off-kilter in a strange and glorious way that doesn’t feel random. The implementation of these electronic textures, nestled judiciously among the record’s spinning spools of tape and fretwork, speaks to the band’s modus operandi of sorts, namely, creating a “missing link between the analog and digital ages.” Recorded in a back-and-forth exchange of ideas between its creative partners, Wardenclyffe presents a strange contrast between modern and historical methods of music creation. 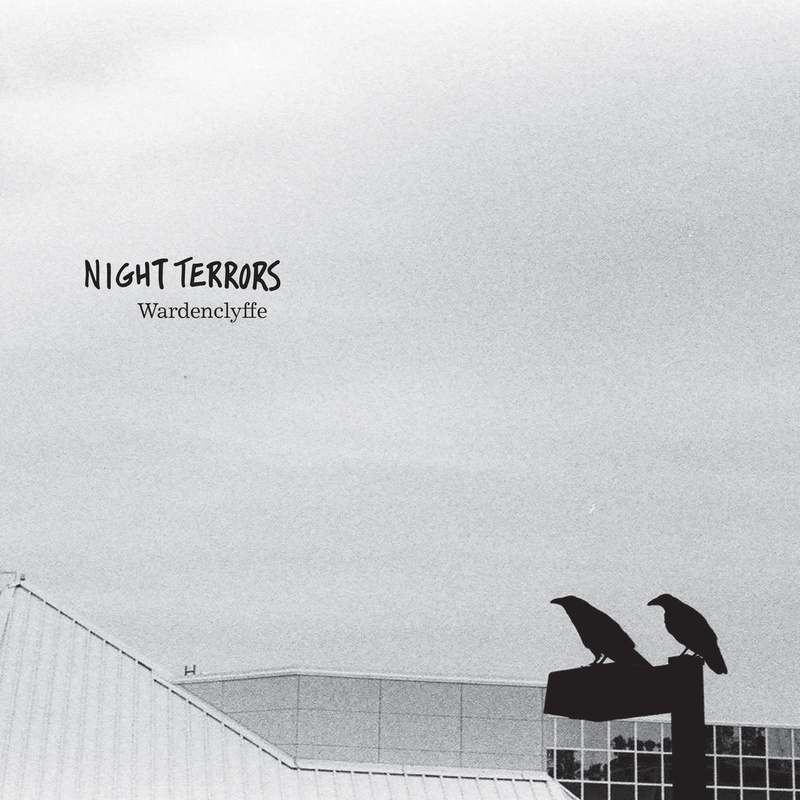 Blending dark folk sounds with found-footage aesthetics, fuzzy art-rock power flourishes, and a surprisingly dynamic and intimate approach to songwriting, Wardenclyffe is a compellingly crafted and genuinely unique-sounding odd bird of a record. It manages to pull off some strange and sonically diverse maneuvers without alienating listeners. It has a warm familiarity, like a campfire on a fall night in Ontario, one whose light bleeds into the totally immersive, genuinely unsettling blackness around it.